Do you have doubts on how to use the Japan Rail Pass? Let our basic guide and video show you! The Japan Rail Pass is a multi-use all-you-can-ride discounted rail ticket. It is the most practical and economical way to travel all over Japan. It provides unlimited access to all Japan Railways National trains and also to the fast ‘Shinkansen’ bullet trains that connect most of the main cities, like Tokyo to Kyoto, in Japan and which will take you to the county’s biggest and best attractions. In addition to the trains, you will have access to local trains and metro in Tokyo, Kyoto and Osaka, as well as other means of transportation like the JR Buses, JR Ferry, Monorails, and airport transfers (such as Narita Express in Tokyo and Haruka Express in Kyoto). 1 How does the JR Pass work? How does the JR Pass work? The JR Pass is available for 7, 14, and 21-day trips. Once you have purchased your Japan Rail Pass, you will receive an exchange voucher. Upon arrival in Japan, and to be able to use your JR Pass, you must validate and exchange your order for the actual pass, which must be made a maximum of 90 days after your purchase. Therefore, you should buy your Japan Rail Pass a maximum of 90 days before you exchange your order for the actual Japan Rail Pass. Once you arrive in Japan, you will need to go to a JR Exchange Office, which can be easily found at airports and main train stations. Not sure which JR Exchange office is closest? You can check the Japan Rail Pass guide that you have received along with your exchange order! At the office, you will be required to fill out a form with your personal details and show your passport and the entry stamp. When exchanging your voucher, you will have to choose a starting date, or first day of use, for your Japan Rail Pass. The starting date does not have to be the same day as the exchange date. However, it has to be within 30 days of the date in which the exchange is made. Please keep in mind that the date cannot be altered once your JR Pass is activated. Once it is validated you will be able to use your pass starting on the date you have chosen for the consecutive number of days for which your pass is valid. With your JR Pass in hand you can start exploring Japan! You can go to any JR ticket office (Midori-no-madoguchi), to make a seat reservation. There is no additional charge for making a seat reservation. Once at the ticket office, you will be asked about your destination and preferred departure time, or you can also look up the train times in advance. Then one of the friendly staff members will help you find the best option for your trip. Finally, when handed the reservation ticket you can head over to the train platform. You will be asked to show your Japan Rail Pass at the ticket gate and then you may proceed to go to your platform where there will be monitors that will guide you on where to go if you have a seat reservation (and which direction to go if you don’t.). Many long-distance trains also offer Green Cars (superior class). With a Green-type JR Pass you can use either the coach or the superior Green Car class cars, while with a standard JR Pass you can use only the standard coach class cars without paying an additional charge. 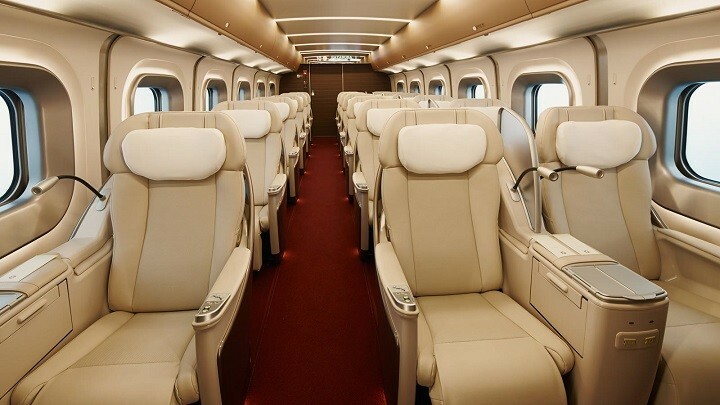 Also, if you wish to travel in a private compartment on a Shinkansen or a limited express train, you will be required to pay the limited express charge for the private compartment, as well as the Green Car charge if the private compartment is a Green Car accommodation. An extra charge is also required if you wish to travel in a sleeping car, a DX Green Car or Gran Class accommodation. You can make reservations right up to train departures, although, during national holidays such as Golden Week, Obon or New Year, it is advisable to make them at least 3-4 days in advance. Still have doubts? You can check out Frequently Asked Questions and our tutorial made by the lovely La Carmina in our YouTube channel. I checked the website and it said that the exchange wont be delivered until August 2019. Is this correct? If it isn’t correct, do you recommend JR pass for this trip? Hi Winnie! 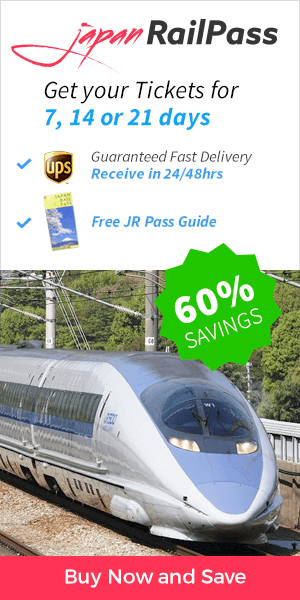 At http://www.jrailpass.com delivery takes no longer than 72 business hours to be delivered. Happy travels! Hi, our family of five will arrive in Tokyo on 1/31. Booked flight to Sapporo from 2/4 to 2/6. Last day is 2/8. Please advise how to squeeze in Osaka. Is it worth it to get JR pass to travel to Osaka or only buy the Nozomi train? Thank you in advance for your recommendations. Hi Meg! The JR Pass gives you unlimited access to all Japan Rail National trains, JR bus services, ferry services, and airport transfers. A 7-day JR Pass only costs ¥29.110 which is actually cheaper than a return ticket from Tokyo to Kyoto on a Shinkansen bullet train. This means that if you make just one long-distance trip you can already save money. If you make multiple trips then you start saving thousands of yen. In addition, when you start factoring in the money you would spend on the metro, buses, transfers, and ferries, then the savings become a must. Happy travels! Try to consider the amount of time you will be spending on the trains, especially travelling on train in between your stops. My friends and I will arrive at Narita on January 2nd and exchange our pass at the airport. Our itinerary is 3rd Jan to Kyoto then to Himeji, Hiroshima,Iwakini, Fukuoka, Miyajima, Matsuyama, Osaka, Hakodate, Sendai, Mishima, Nagoya, Matsumoto and back to Tokyo. We have a 21 day pass which will expire three days before we fly home which is ok because we will be in Tokyo. Are there any trips listed above that are not covered by the JR Pass? Yes, all the stations above are connected by JR lines and therefore included in the JR Pass. Please check Hyperdia for the exact schedules. I am a bit unsure if once I order the pass I have to exchange it within 90 days or I can only exchange it after 90 days… Sorry this bit below has confused me a bit..
Hi Patrycja! Once your ticket is issued, you must exchange it in Japan within the next 90 days. Happy travels! This sentence should be changed as it’s incorrect. “No later than 90 days” means more than 90 days before. It should read something like, “You should buy your pass a maximum of 90 days before you intend to exchange”. Previously when I travelled to Japan with a JR pass and wanted to use a Shinkansen you had to book a ticket a day in advance, regardless if reserving a seat or not. Is this still the case or can you turn up on the day and just walk on to the train with the JR pass? Only ask cause we will be arriving late in Narita and the ticket office may be closed before we can swap out passes for tickets and we are catching an early Shinkansen the next day. I was wonder if you could help me with some JR Pass questions as we are getting bit confused. 🙂 Is a pass going to be the best value for us? We are 4 adults and 2 children. We do not need the train back to Tokyo as we have a bus transfer with our travel agent. We are not sure whether there are other places to visit around Myoko where we would use the JR Pass either. I have used an online calculator for the long distance train trips (Tokyo – Kyoto – Myoko) and it says that the JR Pass is more expensive than just buying seperate tickets. But is the JR Pass worth it, as we can use it in Tokyo and Kyoto on local trains and busses? Or do we just buy daily passes when we are in Tokyo and Kyoto as the JR Pass cannot not be used on all the local transport? Is the pass better value as we get free reservations on the long distance trains too? I thank you very much for answering these questions for me. I also asked on your Facebook page but have not had a reply yet. 1. We will be arriving in Osaka on October 19th (we are travelling to China first) is it possible to have our pass mailed to our hotel in Japan as it wont arrive in Australia before we depart? 2. We only need the JR pass to travel between Osaka, Kyoto and Nara then have one single trip to Tokyo. Can you book a single fare for say, Kyoto to Tokyo the day before you travel? Hi Levi! Should you purchase your Japan Rail Pass at jrailpass.com you will be able to send your order to your temporary address in China. You can select whether they wish to have their order sent to their home or temporary address during the check-out process. Happy travels! We’ll arrive to Haneda airport fairly late (21:30) in October. We plan to buy a 14 day JR pass and would like to use it from the airport to the city as well (we’ll stay 14 days in Japan). But the Service center at Haneda airport will be closed by the time we leave the transit zone. Does that mean we have to buy tickets for the airport transfer although it is prepaid by the JR pass? Or is there another way to get the physical ticket? Hi Gyurma! To activate your Japan Rail Pass, please go to any JR office. Should the Exchange Office be closed by the time you arrive, you will need to exchange it in a different office or wait until it opens. Happy travels! Hi, you can buy a one way ticket from Haneda to central Tokyo for 810 yen per person. This is cheap. You will just need cash to buy the ticket. Do you have to reserve seats on the Shinkansen Trains, or can you still go as long as you have a Japan Rail Pass? Hi Ida! Booking your seats is only required when you travel with a Green Pass (first class). Should you travel with the standard Japan Rail Pass, you can choose to reserve your seats or travel in an unreserved compartment. Japan Rail Pass holders are entitled to book a seat on all Japan Railways trains free of charge. Hey guys. Can you please find out if one has to book tickets for the Thunderbird Express from Kanazawa to Kyoto if one already has a Japan Rail Pass, or if one can simply get on the train at the time that it’s leaving. Hey Jude! The Thunderbird Express features both reserved and unreserved seats. Cars No. 2 through 4 as well as 8 and 9 are reserved seating, while Cars No. 5 through 7 host non-reserved seating. By booking your seat you ensure your place in the train in the event it is full. Enjoy the ride! My husband and I will be travelling Japan soon. We plan on getting the 7day pass. I’m a bit confuse if whether Suica or JR pass is our best bet forthis upcoming vacation. Below is our itenerary a,d would love to hear your advice to save us money and time. The 7-day JR Pass would be a great fit for your trip, as it includes the Narita Express from Narita Airport, the bullet trains from Tokyo to Kyoto and Osaka, and also the bullet trains to Sendai. Please check the links for further information… and have a nice trip! actually on 7 june , i would like to see the mount fuji, could you please give me suggestion what time i should go and what Train can i use with my JR PASS? is there any train (use JR Pass) to bring me to fuji mount and back to tokyo on one day? on 8, i would like to go to osaka – kyoto use my JR and back to tokyo on one day only (is it available)? my kids actually just want to use the train arround japan. We hope you enjoy your trip and the Japan Rail Pass! I am planning on coming to Japan in June to visit friends in a few cities. I am flying into Tokyo (Narita) and spending a few days there. From there, I will be traveling to Osaka for a few days and then Kyoto. Which trains would be best to get between those cities? The Tokaido Shinkansen is the one connecting Tokyo, Kyoto and Osaka. We recommend you check our Tokyo to Kyoto and Osaka article for further information. Have a nice trip with your JR Pass! 2. does the JR regional pass use the shinkansen? I will be traveling with my husband, daughter and her 2 children ages 8 & 10. We arrive in Narita Airport on 6/24/18 at 1:30pm and plan to take the Narita Express directly to Yokohama for a 8-day cruise. We get off the ship on 7/3/18 and plan to go directly to Ueno Station and spend 3-days in the area. Then we plan to go to Narita Station on 7/6/18 and stay in the area until our flight home on 7/7/18. Is a JR pass advisable? Hi, I’ll be arriving in Tokyo on 3rd May and planning to travel around the whole japan for a month. I’d like to purchase the JR pass online but aware that it might not get to mail it to me on time. Just wondering can you mail it to my friend’s address in tokyo? If i purchase the pass tomorrow, how long would the pass arrive a tokyo address? Can i use JR pass in Sapporo? Thank you! Yes, travel to Sapporo by train is fully covered by the Japan Rail Pass. Your JR Pass is valid also on the JR Buses in Hokkaido. Three local subway lines and a tram line are also available. The three lines all connect with JR Sapporo Station. My family of 4 adult will arrived Haneda airport on July 3, 2018 , and going to Osaka with Shinkansen Bullet train at the same time and stay 10 days in Osaka, Osaka Castle, Kyoto and Kobe then heading back to Tokyo and stay 10 days. Please advise what kind of pass should we get. Can you please recommend which pass is better, the 7 or 14 day JR pass based on the following itinerary? – In Tokyo the JR Pass affords access to five different local railway lines: the Yamanote Line, the Keihin-Tohoku Line, the Rapid Chuo Line, the local Chuo-Sobu line and other metropolitan lines that circulate on the outskirts of the city such as the JR Keiyo, Musashi, Nambu and Yokohama lines. – In Osaka you will be able to travel unlimitedly in the Osaka Loop Line. – In Kyoto you would be able to make full use of JR Sagano and JR Nara lines, as well as a local bus line. I will arrive at Kansai on the evening of May 4. On Saturday May 5, I will travel to Kyoto. Therefore, I will not be able to reserve a seat 3-4 days in advance and it is Golden Week. I have purchased a JR Green Pass because I think it might help me to reserve a seat (two seats together). If I reserve two seats for May 5 on the evening of May 4, do you think I will be able to get seats on the train by mid-day? Thank you so much in advance for your guidance. May I know what type of JR Pass should i purchase that will fully cover above-mentioned, and the name of the trains/bus that i should book for each of the day please. Hi Gary! 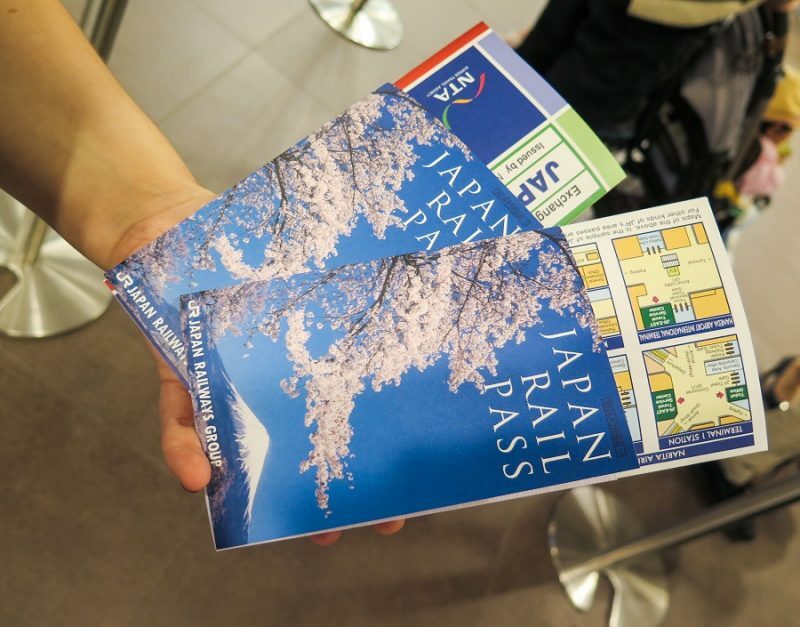 The Japan Rail Pass would allow you to make your itinerary, however since you are staying in the same area it might be adviceable to check other pass options since some other may be more cost-effective for you. Can you please advise most cost effective option for a couple with itinerary below. Return to Tokyo on 11th for 2 more nights and then fly back via Narita airport on 13 May. Should we get 7 day and activate from day of travel to Kyoto? In total that would be between 53,000-63,000 yen, and a 14-day Japan Rail Pass would be just 46,390 yen. Also please keep in mind that it would also allow you to travel locally in Tokyo (included lines: Yamanote Line, Keihin-Tohoku Line, Rapid Chuo Line, local Chuo-Sobu line and other metropolitan lines that circulate on the outskirts of the city such as the JR Keiyo, Musashi, Nambu and Yokohama lines), Kyoto (Sagano Line and Nara Line) and Osaka (Osaka Loop Line) at no additional cost! We are planning our trip in November and was wondering… We are arriving from Tokyo Haneda International and going to spend 3 nights in Tokyo, then 1 night in Hakone, and then 2 nights in Kyoto. Then from Kyoto we are hoping to take the Shinkansen back to Haneda International Airport. Will we need to purchase any other transportation or will we be able to use our JR Rail (Green passes) for all travel in these areas, buses, shuttles, ferries, etc…? – All Japan Rail bullet (Shinkansen) trains, except for Nozomi and Mizuho classes. – Rapid and Local JR trains. It also grants access to some local transportation but may not cover the whole web, specially it will not cover transportation from other companies than JR Group. We recomment you to check what includes the Japan Rail Pass to make the best choice. We are traveling in a grp of four adults. Arriving at Haneda Airport. Hence to Osaka 4days) Kyoto (4/5 days) then back to Tokyo for 4 days before flying back. What sort of pass shall I get? Thanks for the info n help. Should you need a pass that covers trips between Tokyo, Kyoto and Osaka your best choice would be the nation-wide Japan Rail Pass. Although there are some regional passes, none of them covers these 3 cities. To travel with your 7-day Japan Rail Pass, means to have the unique opportunity to discover the whole country at a cheaper price than a Tokyo to Kyoto return ticket on a Shinkansen bullet train. From Haneda Airport you can take the Tokyo Monorail, which connects both terminals in Haneda Airport to Hamamatsucho Station in downtown Tokyo. From Hamamatsucho you can easily reach Shinjuku Station by taking the Yamanote line, also included in your Japan Rail Pass. Day 1 – 5 will be in Tokyo. Will be visiting Mt Fuji and Disneyland while in Tokyo. As I understand JR pass need to be used consecutively, can you advise what pass should I get. Yes, a Japan Rail Pass can be valid for either 7, 14 or 21 consecutive days. Should you want it to be valid during all your trip you should consider to get the 21-day one. We strongly recommend you to check at Hyperdia which would the individual price of each trip be and compare it to the price of the nation-wide pass. I’m going to Japan for 14 days from the 2/05/18 to the 14/05/18. From Narita Airport, I’m staying in Tokyo for about 5 days; then I’ll be staying in Kyoto for 5 days and will be using Kyoto as a base to travel to Nara and Osaka. Lastly, I’ll be returning to Tokyo and returning to London via Narita Airport. Considering my itinerary, I’m not entirely sure which Japan Rail Pass to get. – Kyoto to Nara (round trip). – Kyoto to Osaka (round trip). Note: when in Osaka you will be entitled to make full, unlimited use of the Osaka Loop Line. – Central Tokyo to Narita Airport in the Narita Express. This should be the most cost effective option for your described trip. Could I use my JR Rail Pass to get to Iwami/Tottori area? What line would I use, and when would I have to pay extra for non-JR related lines? Iwami is most easily accessed from Izumo or Matsue. To get there take a JR train from Matsue or Izumo to Oda and transfer to a bus to Iwami Ginzan. The trains are covered by the Japan Rail Pass. The bus journey between Odashi Station and Iwami Ginzan takes 25 minutes, costs 630 yen one way and is not covered by the Japan Rail Pass. i`m going to travel in Japan for 8 days next year, can i buy 2 ticket of 4 Consecutive Days pass? since 7 Consecutive Days pass would not be enough for me and my family. We are planning to travel around Osaka, Kyoto, Kobe and Nara. And, is it possible for me to buy the JR Pass in Kansai International Airport? We are afriad it is not possible to buy the Japan Rail Pass like that. The days of your Japan Rail Pass need to be consecutive. Therefore, you won’t have the option of splitting the validity period of your pass. Also, from a trial period starting on March 8, 2017 and running until March 31, 2018, the Japan Rail Pass is also sold at a limited number of stations in Japan. So, you will be able to buy it there but be aware though that buying the Japan Rail Pass in Japan will be more expensive than buying it online ahead on time. Can I use JR pass from Haneda airport to central Tokyo? Actually I have doubts whether I should get JR pass. will touchdown at Haneda airport then back from Kansai. Roughly plan about 4days in Tokyo and will head to Osaka, Kyoto and Nara. Total 9 nights of stays and head back on 10th day. The JR pass will only valid for 7days and I kept thinking of the other 2 days. Do you have any idea on how I should I plan on the trip? Yes, you can use the Japan Rail Pass from Haneda airport to central Tokyo using The Narita Express – also known as N’EX. It is the most convenient Tokyo city transfer from and to Narita International Airport, which hosts most of the overseas flights to Japan. When traveling for 10 days to Japan, our best suggestions is to stay in Tokyo for three days, and put this location at the beginning or at the end of your trip. In case of going to Tokyo at the beginning you will need to pay for the Narita Express train and a 3 days JR ticket. After that, we recommend you to active your apan rail pass. However, if you go to Tokyo on the final days of your travel, you will be able to active your japan rail pass as soon as you get to Japan, and buy the three days JR ticket when you arrive to Tokyo. Anyways, you can compare prices on Hyperdia, and then decide what is the best option for you. I would agree with the expert advice given here. We just got back from a trip to Japan today and used the JRail Pass for our trip. Not only did we save money on trips around our local faves (between Yokohama and Tokyo, mostly) but we were also able to spend a day in Kyoto with a reserved seat (nearly $200 per person round trip) and take a reserved seat Shinkansen trip to Tokyo (about $50 per person) on our last day which let us spend more time in Yokohama sightseeing rather than taking the local rail. Buying the JRail Pass and putting about 1000 yen on our PASMO cards got us through an 8 day trip easily. Do you have Senior discount for Jap RAIL Pass ? If i buy JPrail pass and i want to take Shinkansen from Tokyo to Kyoto and return do i have to pay extra or i just get voucher for the trip with showing my pass ? Do you have telephone number to call you? First, we don´t have any Senior discount available, although, it would be a good idea to think of.